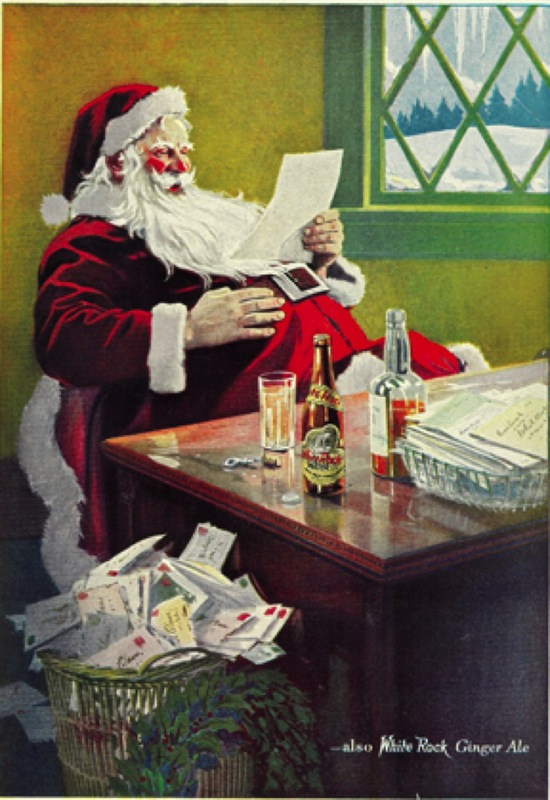 " While Coca-Cola Company (CCC) executives in Atlanta, Georgia, USA were preparing to celebrate the holidays and enjoy their buoyant third quarter results, management at Coca-Cola Beverages Pakistan Limited (CCBPL, owned by CCC) were carrying out a vicious attack on employment and trade union rights at the company's Karachi operations in defiance of a local court order to desist." Members of Hands Off Venezuela and War on Want joined Colombia Solidarity Campaign on its emergency protest outside the Colombian Embassy in luxurious Knightsbridge, London on 21 December. Picketers demanded the release of Telesur journalist Fredy Munoz detained by Colombian authorities since 19 November, and handed in a letter of protest demanding that Vice-President Santos withdraws his comments targeting food and drinks workers union SINALTRAINAL. On 12 December Santos attacked the union's fight for justice from notorious multinationals Coca Cola, Nestle and other private corporations, and contended that they are pushed by "sectors of the extreme left, radicals infiltrated into trade union sectors that are generating absolutely absurd campaigns against the corporations". In Colombia this is a green light for paramilitary attack and, following Santos prompt, two days later the 'Black Eagles' left a death threat inside the home of Barranquilla SINALTRAINAL activist EURIPIDES YANCE, also targeting his fellow Coca-Cola workers LIMBERTO CARRANZA, CAMPO QUINTERO and several local trade union, student and social movement leaders, as well as defenders of human rights. The Black Eagles gave their targets one week to leave, or else. 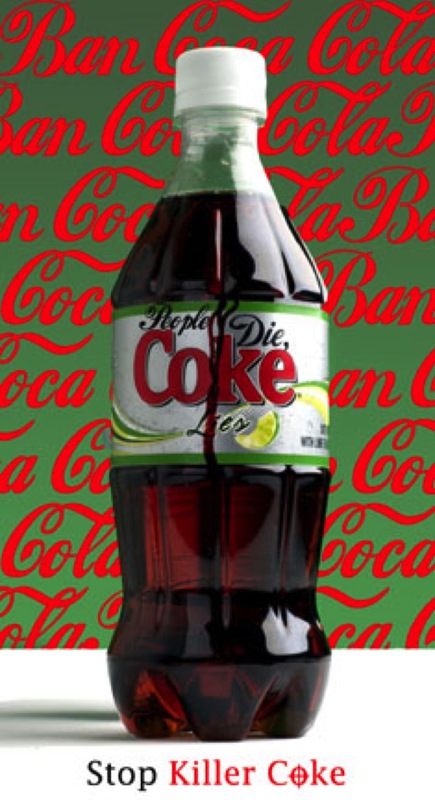 "Diet Coke's ingredients include phosphoric acid, citric acid, caffeine and the sweeteners aspartame and acesulphame potassium." "The Colombian government, the recipient of billions of dollars in U.S. aid to fight drugs and a leftist insurgency, is under siege as evidence mounts of links between rightist death squads and dozens of officials loyal to President Alvaro Uribe. In the past week, the country's Supreme Court summoned six legislators to answer accusations that they had conspired with paramilitary leaders who are alleged to have killed tens of thousands of leftist sympathizers and ordinary civilians and to have run drug trafficking networks since the 1980s." "Rooted in the notion that clean drinking water, like air, is a God-given resource that shouldn't be packaged and sold, a fledgling campaign against the bottling of water has sprung up among people of faith. And though the campaign is at a relative trickle, and confined mostly to left-leaning religious groups, activists hope to build a broad-based coalition to carry the message that water should not be available only to those who can afford it." "Some churches in Canada have started to urge congregants to boycott bottled water, citing ethical, theological and social justice reasons. Bottled water, they argue, is morally tainted and should be avoided.
" 'I can't stand the whole idea' of bottled water, she said, citing the added garbage from discarded bottles and the greenhouse-gas emissions that spew from trucks that deliver it. "Ms. Geraets, the Ottawa Lutheran, said water is 'a sacred gift' from God, and humans should act as stewards and not debase it by turning it into a marketable item. 'You don't sell a gift,' she said." "In other words, these multinational corporations give millions of dollars to schools so that their districts and vending machines exclusively carry their goods. In reality, however, it comes down to one big clever marketing ploy: In the end these big corporations have hooked kids on their products while fooling people into believing they are virtuous corporate citizens because they support education. "Fortunately there is a growing movement across the country to ban sodas from schools. 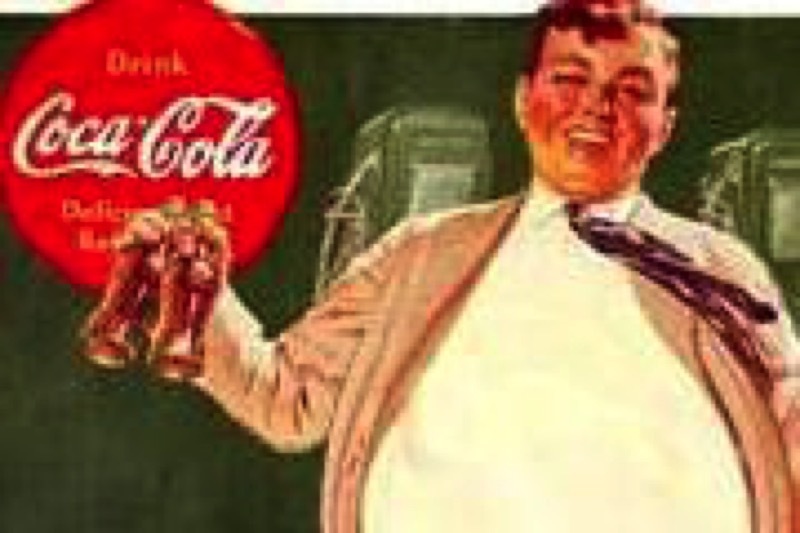 Indeed the feisty Killer Coke campaign, which focuses on the company's labor abuses and not Coke's negative health implications, has been successful is banning the product from over 10 major universities [now from over 20 colleges and universities and more than 10 outside the U.S.] in the US. But it would be wise to not just focus on the company's alleged murders in Colombia, and instead broaden the struggle against the soda industry by pointing out their complicity in the obesity epidemic worldwide. Because death truly is the 'real thing'." Campaign Director Ray Rogers spoke at the conference. 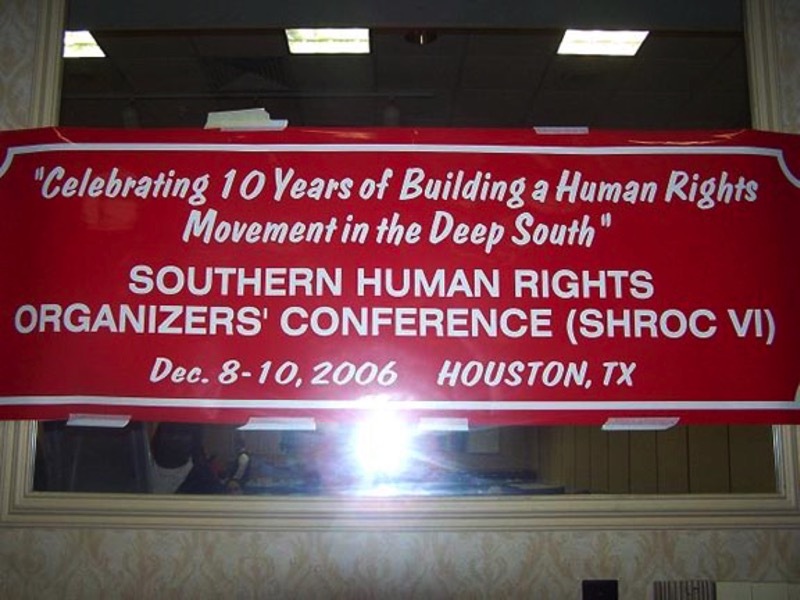 The goal of SHROC is to bring together human rights organizers to discuss common issues and develop more effective strategies for building a human rights movement in the Deep South. 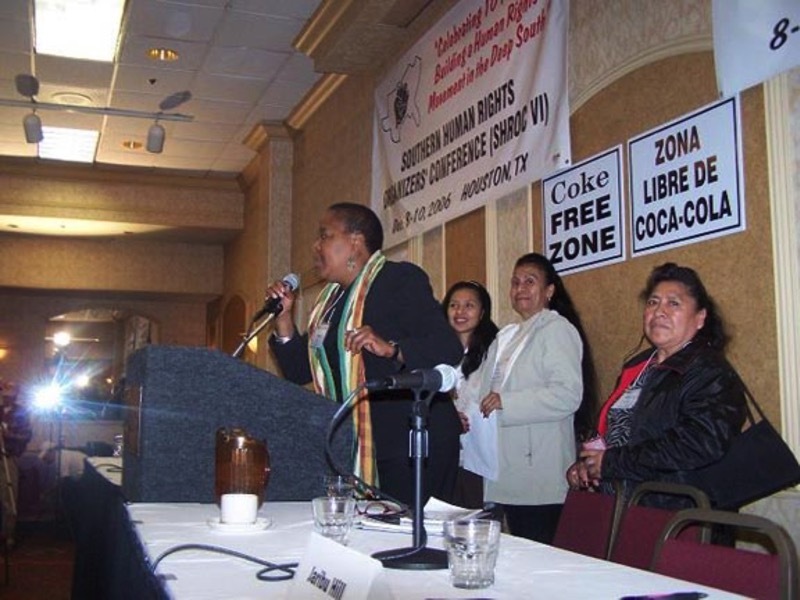 The conference strengthened ties among human rights organizers throughout the South and held a demonstration on Saturday, Dec. 9 focusing on the struggles against Coca-Cola, Wal-Mart and McDonald's. 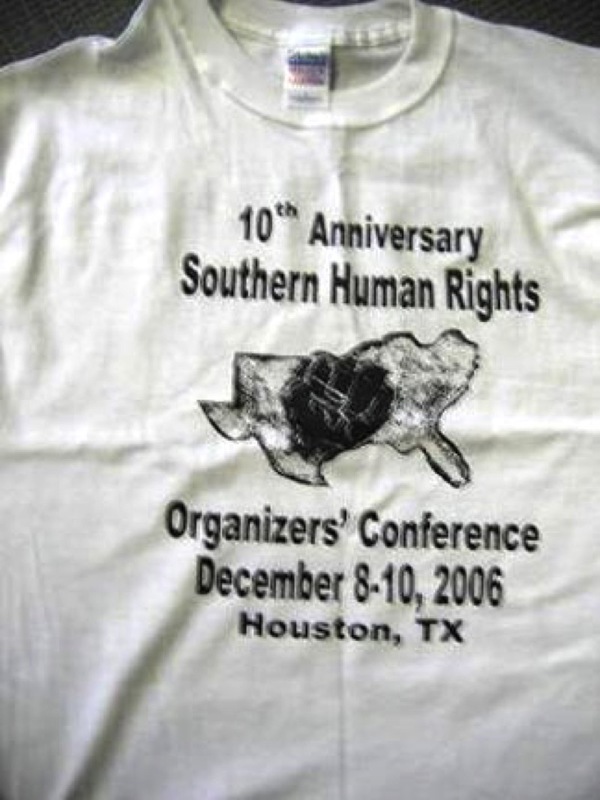 For more information on human rights organizing in the south contact the Mississippi Workers' Center for Human Rights. Read the April 25, 2005 Campaign newsletter about the Coke shareholders' meeting in which Illai Kenney is quoted. United Students Against Sweatshops, "Swarthmore Cuts Contract with Coca-Cola: Coca-Cola refuses to take responsibility for its participation in the execution of union leaders"
"I applaud your efforts in rallying awareness of Coke's attrocities in Colombia and around the world. As a native Colombian living in the U.S., I feel compelled to join in the struggle," wrote Natalia. 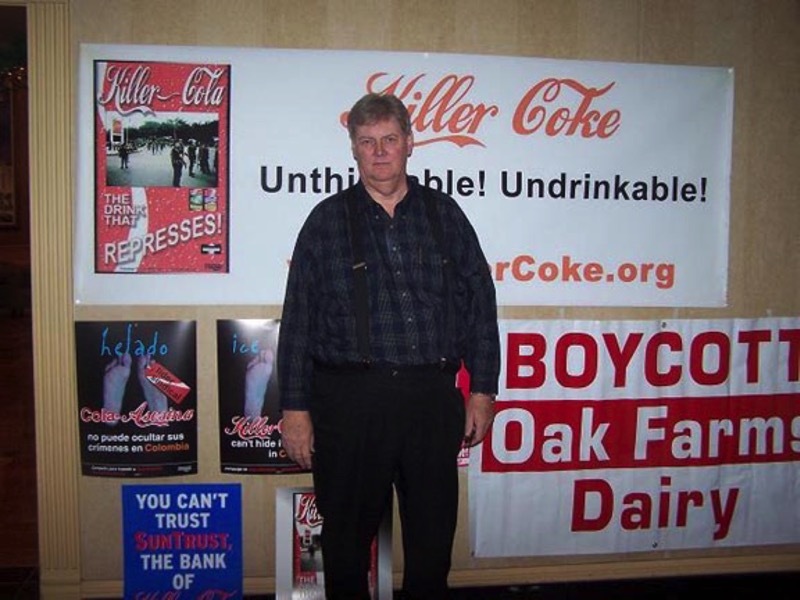 "But Ray Rogers, head of the Campaign Against Killer Coke, the company's fiercest foe, rejects the notion that Coke has changed. "Tim Smith, senior vice-president of socially responsible investing for Walden Asset Management, believes activists such as Mr Rogers play an important role in scrutinising corporate behaviour. "'Without people like him, Nike and Gap might never have been forced to address the terrible working conditions in sweatshops.' "
"And halfway around the world, in Colombia, the deaths are deliberate. 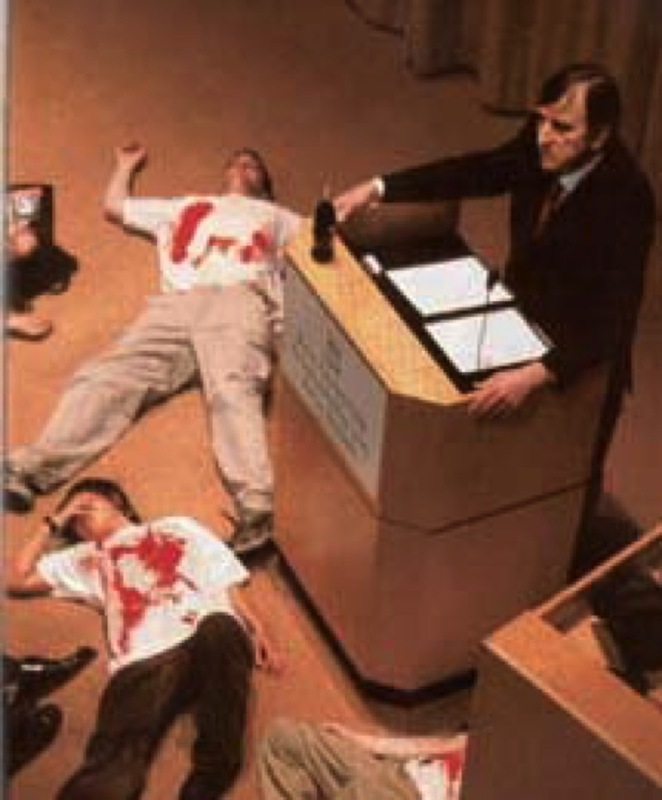 In 2001, some 170 union workers were assassinated. The President of Colombia's Food and Beverage Union, who picketed a Coca-Cola shareholder meeting in New York, said workers were murdered so they could be replaced with temps." "Three out of four Americans drink bottled water and one in five Americans drink only bottled water. 'This dangerous trend is being fueled by misleading marketing,' said Corporate Accountability International Associate Campaigns Director Gigi Kellett, in a prepared statement. 'Corporations like Coke, Nestle and Pepsi spend tens of millions of dollars every year to undermine people's confidence in tap water, even though bottled water is less regulated and sometimes less safe.' "
"Statements from Coca-Cola regarding the 'synergy' of a rights museum next to the World of Coke are telling. It's no secret that after failing to draw crowds at its current location near Underground, the soda-pop emporium is eager to surround itself this time with high-powered attractions. Thus the 'generous' land gift to the aquarium and now the Civil Rights museum." "Miss Kashuba said she had become addicted to the drink as a result of a promotional offer that allowed consumers to swap Coca Cola caps for prizes." "In a landmark ruling, two Russian courts agreed that Coca Cola had failed to warn of the potential health risks of drinking too much Coke and awarded Miss Kashuba �62." "The new guidelines, which got a cool reception from watchdog groups, represent a pre-emptive move by the food industry to regulate itself in the face of threats of congressional action and other regulation. This comes as the number of overweight children has quadrupled in the United States since 1960. Recent studies have categorized 16 percent of U.S. children as obese." PLEASE READ THE SECTION AT THE END OF THE ARTICLE on page 2 with the subhead "New rules, little change...The food industry's self-imposed guidelines and expected impact:"
"GUIDELINE 1: Devote at least half of advertising directed to children on television, radio, in print and on the Internet to promote healthier dietary choices and messages that encourage good nutrition or healthy lifestyles. "IN PRACTICE: The new rules won't mean that some products high in sugar will get less airtime on after-school TV shows..."
" 'Corporations like Coke, Nestle and Pepsi spend tens of millions of dollars every year to undermine people's confidence in tap water, even though bottled water is less regulated and sometimes less safe.' "
"Help! Evil Cokes are hiding in my kitchen. Find any one of them & drag the can out of my kitchen to see why drinking Coke is not cool." "The Kick Coke campaign has convinced the administration to cut Swarthmore's contract with Coca-Cola completely. Although the administration moved to eliminate Coke products from Essie Mae's and the coffee bars last spring, Swarthmore's decision to terminate its still extant contract with Coke will mean the removal of all Coca-Cola products from Sharples and the remainder of campus. The change in product offerings is set to occur over winter break. " Congratulations! Barry Diller of IAC/Interactive is a member of Coke's Board of Directors; "Last year, Barry Diller took home a pay package worth $469 million, making him the highest-paid chief executive in America...IAC also said that the package was necessary to 'motivate Mr. Diller for the future.' Goodness, this man needs a lot of motivation! He required about $150,000 every hour just to get motivated — suggesting that he may be the laziest man in America." "Coke, which itself was dismissed from the lawsuit in 2003, has repeatedly denied the accusation but has had its public image damaged by the claim. Several US universities have boycotted the company's products on the back of the accusations." "Flores said that the company had been attempting to avoid paying out compensation to workers by designating them as contracted, rather than permanent employees. She added that after helping the company to grow, 'it isn't fair that in the end of the day they don't recognise the labor rights.' "
GSEU Rank and File (SUNY Stony Brook), "GSEU Stony Brook Unanimously Endorses Coca-Cola Boycott Resolution"
"The corporations that sell bottled water are depleting natural resources, jacking up prices, and lying when they tell you their water is purer and tastes better than the stuff that comes out of the tap." 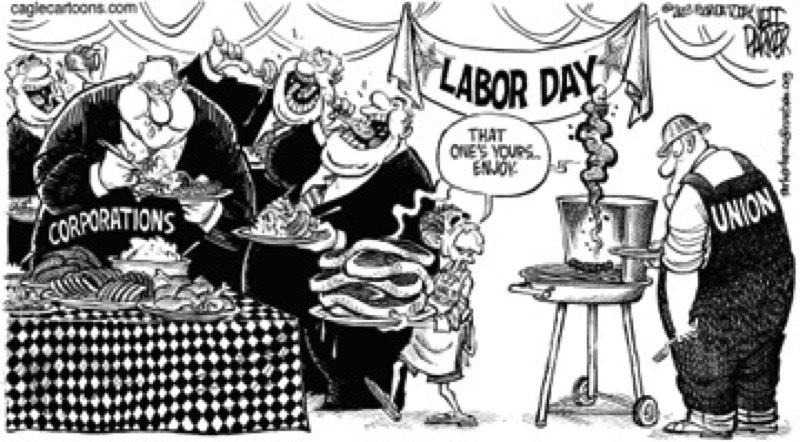 "The globalisation of the world's economy means corporations have gained more and more power. Too often, multinational companies harm local communities, damage the environment and violate workers' rights in the course of doing business - and there is no effective way of holding them to account when they do. Business is ethically unequipped to deliver for people and the environment. In the modern world, companies should be required to serve the interests of society as a whole - not just rich shareholders." Swarthmore, Pennsylvania, U.S.: Our day of action was small-scale, but pretty good. Our administration just sent a letter to Coke demanding change, and if our demands are not met by Nov. 1st, we will cut the contract. So we felt that we couldn't celebrate quite yet, nor put pressure on the administration, so we had candy, a kick the coke can contest, and a card that students signed to thank the administration for sending the letter. It was a beautiful day, we got a lot of signatures, and it also helped to remind the student body that our campaign is still active. "By 11:30am the Day Of Action was on. Everyone did well in their respective roles. While some played dead, others distributed flyers, answered questions (and yes, we did have some inquisitive detractors). Everything went well. McMaster, Canada: On the 11th we had a Kick Coke Kegger, which was really successful thanks to the weather holding out. We handed out lots of literature and had a lot of interest from people. On the 13th we did a guerilla theatre action that got media attention and somewhat unfortunately police attention. Carleton, Canada: Built two pyramids of consumption (coke product trash found around campus) and had an information table. They got some good coverage. Worth Noting: U.S. District Judge Jose Martinez was a George W. Bush appointee. It should be noted that this decision does not deal with substance, but rather with jurisdiction. "The High Court upheld the argument by Coke and Pepsi that Kerala had no jurisdiction to impose a ban on the manufacture and sale of their products. Only the federal government can ban food products, it ruled. The Kerala state government didn't give any time to the cola companies to submit their arguments before banning their products,' the court also said. "The Kerala ban was the harshest across India, where seven of the country's 28 states imposed partial or complete bans on Coke, Pepsi, Sprite and other drinks from the companies after the Center for Science and Environment made the allegations Aug. 3. More than 10,000 schools have banned the beverages.
" 'The court's verdict quashing the Kerala government's order is unfortunate and the government is exploring legal steps to take corrective measures to reinforce the ban,' Chief Minister V. S. Achuthanandan told reporters." "Taking exception to its name being 'unauthorisedly' used by Coca-Cola India in its promotional activities, the World Health Organisation (WHO) has asked the company to withdraw such references." "Coke is no longer it at Dominican University in River Forest. The school entered into an exclusive agreement with Pepsi and stopped the sale of Coke products this semester, university officials say, in part because of student concerns that the soft-drink giant was allegedly involved in human-rights abuses against some of its workers in Colombia." "The CND also laid out plans for disruptions of official events, for an election for a constituent assembly to rewrite the Constitution and for a boycott of companies that had financed Calderon's campaign, including the US firms Coca-Cola and Wal-Mart..."
In another huge breakthrough at the City University of New York (CUNY), the nation's largest urban public university, Coca-Cola vending machines have all been removed from another of its campuses — Queensborough Community College. This victory was a result of the support the campaign received from the student government and members of the Professional Staff Congress, the union that represents faculty and staff at the university. Our first victory at CUNY happened last spring when student campaigners rallied support from students, faculty and administrators, which led to the removal of Coke products from CUNY Law School. CUNY serves more than 450,000 students on more than 20 campuses. Activities are expanding throughout the CUNY system to make CUNY Coke-free. "After a more than four-year campaign led by the Activist Student Union (ASU) at DePaul University, we are pleased...to announce that DePaul has joined the Coke Boycott! "The decision may have been made as early as July, though no official public statement had been made. Last week, though, the Coke vending machines began disappearing according to some of the ASU activists. Congratulations to the broad campaign, which included the school's DePaul Students Against the War, Concerned Black Students, Black Student Union, DePaul Alliance for Latino Empowerment [DALE], United Muslims Moving Ahead, feminists in action!, DePaul Community Service Association, and many other student groups across the campus. 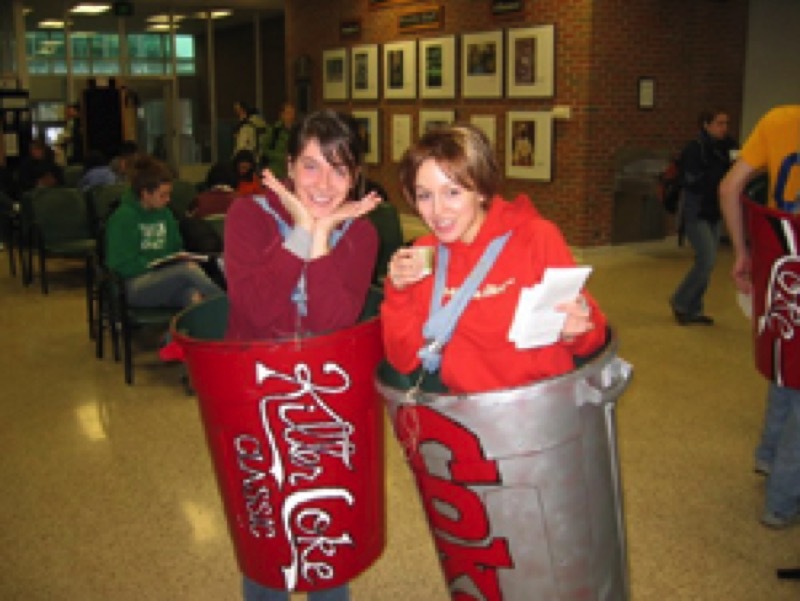 University of Illinois Urbana-Champaign has an exclusive contract with Coca-Cola that is up for renewal in June 2007. Coalition Against Coke Contracts (CACC) is organizing around this issue, trying to get the university to end its contract with Coca-Cola. We had a public rally on September 12 and it was very well attended. 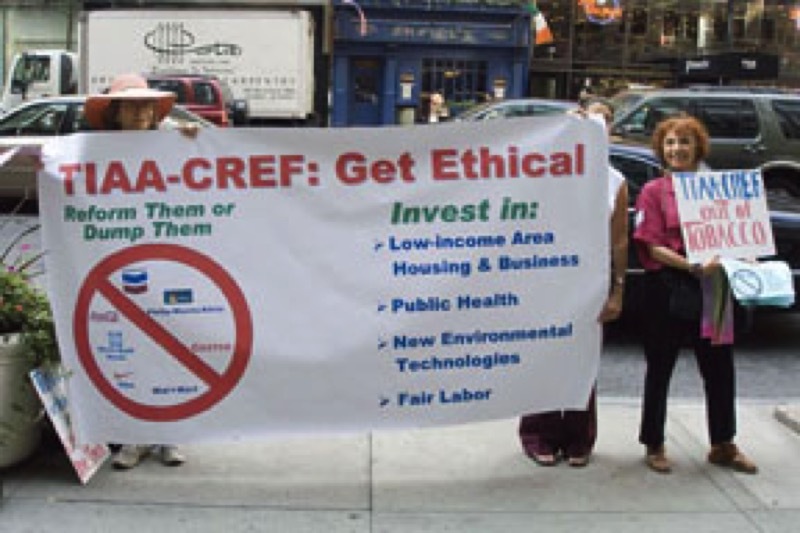 Coalition Against Coke Contracts [http://caccuc.blogspot.com/] hosted a rally on Tuesday, September 12, 2006. Close to a hundred people marched to Swanlund to tell the U of I administration to get rid of Coca-Cola. Amit Srivastava from India Resource Center and Lori Serb addressed the rally. Read the "Resolution Regarding the Exclusive Beverage Contract between University Of Illinois at Urbana-Champaign and the Coca-Cola Company"
"SOFT drinks giant Coca-Cola has warned ministers that schoolchildren risk becoming 'dehydrated' if all of their products are banned from Scottish schools. "In what critics claim is a cynical ploy to protect sales, Coca-Cola has written to the Executive laying out the health benefits of its diet and low-sugar drinks and insisting they should remain on sale. Coca-Cola is backed by other food industry representatives, including cake and biscuit and savoury snack manufacturers, who say that there is a place in the Executive's healthy eating plan for low-calorie and lower fat snacks in vending machines and dining halls." "I am currently a Junior at Manhattanville College in Purchase, NY. 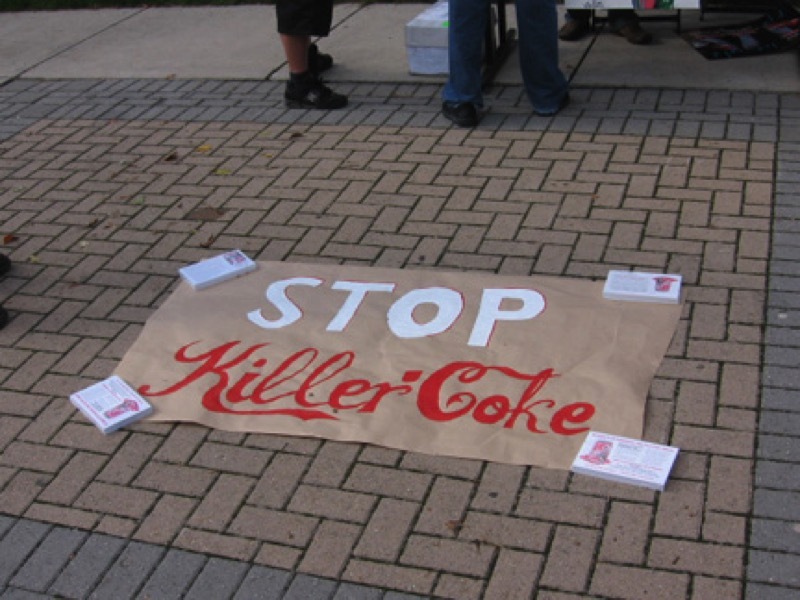 Last Semester, we campaigned vigorously to kick killer coke off campus. We had an event where Ray Rogers came and spoke. I just wanted to let you all know that we have successfully kicked killer coke off the campus!! We came back this semester to the pleasant surprise. Thanks for everything that you have done and power to the campaign." "Obesity now causes 400,000 deaths in the United States each year, according to the American Journal of Public Health. And a recent report by Trust for America's Health, a national health advocacy group, notes this toll is particularly high among low-income Americans. "While there are a host of causes behind this epidemic, one of the leading factors is the profit-driven behavior of food manufacturers and sellers. Coca-Cola spent $2.2 billion pushing its syrupy beverages in 2004, according to the British medical journal, Lancet...To shift blame away from itself, the food industry uses a public relations script that focuses on personal responsibility. It suggests that if people are overweight, it's their own fault. It claims the industry is only responding to consumer demand. It insists that any government action to abate its practices is an attack on freedom." "The mistaken attitude towards water is that it's a limitless resource there for our misuse. Canadians are especially terrible when it comes to this attitude. According to Natural Resources Canada, we tend to waste more water than any other country in the world. Unfortunately, because we are surrounded by so many fresh water sources, it isn't hard to see why we can so easily abuse an increasingly important resource. Maybe if we paid $3 a litre for our water, we would realize the importance of water in the same way that paying over a dollar per litre for gasoline has forced us to become a more energy conscious society. With recent trends towards privatization, perhaps water will one day cost that much. Until then, however, we should take advantage of the clean water provided to us for free and stop filling garbage cans and recycling bins with unnecessary bottles." "Increasing consumption of junk food may be to blame for obesity, but not half as much as sugary colas, a top expert on obesity warned at the 10th International Congress on Obesity in Sydney in Australia." "The string of woes has already taken some toll on Coke. Its shares have traded flat for the last year, and the value of the Coca-Cola brand slipped 1 percent in the last year, according to the most recent BusinessWeek/Interbrand Annual Ranking of the Top 100 Global Brands [see BusinessWeek.com, 8/7/06, 'The World's Best Brands']." "The letter was signed, among others, by the president and vice president of the Boston School Bus Drivers, Steel Workers Local 8751, Frantz Mendes and Steve Gillis, respectively; National Teamsters Black Caucus Chair and Teamsters Local 808 Secretary/Treasurer Chris Silvera; National Co-Chair of the Million Worker March Movement and Local 10 International Longshore Workers Union past Secretary /Treasurer Clarence Thomas; President of the Philadelphia chapter of the Coalition of Labor Union Women Kathy Black; Philadelphia AFSCME District Council 47 President Thomas Paine Cronin; and labor supporters, the Most Rev. OFSJC Bishop of the Northeastern Diocese of St Francis of Assisi, CCA, Felipe C. Teixeira; Boston Rosa Parks Human Rights Day Committee Co-Chair Dorothea Manuela; and International Action Center Co-Director Teresa Gutierrez." Arkansas Democrat Gazette (Bloomberg News): "Benzene litigator aiming at Coke"
You can access this video by clicking on page 1 of the 3 under the pictures on the right. Then click on "Sneak attack in Democratic primary..." You might want to see "Political Bloggers" found on page 3. Amy N., 15 years old and from a township in South Africa's Cape province (see photo above), appeared on the popular nightly GVTV news programme pouring what appeared to be blood from a bottle of Coca-Cola as she explained why Colombian trade unionists and Indian farmers call for a boycott and publicising a workshop on Coca-Cola in Colombia. "Britain's University of Sussex has banned all Coca-Cola products from its student union to protest the company's alleged business practices. Other British campuses are expected to follow suit amid calls for a nationwide student boycott against the soft drink giant, the Independent reported Saturday. "Ebun-Olu Adegboruwa, a Nigerian lawyer, was explaining how he intended to take on Coca-Cola, the world's largest soft drinks company. He claims to be acting for some 4,000 people in the port area of Apapa, many of them poor and illiterate, who believe that a local bottling plant has stolen their livelihoods. A lawsuit is planned accusing the company of polluting a lagoon by pumping untreated waste into the water and killing fish. 'Like many multinational companies operating in Africa, Coca-Cola is guilty of double standards,' he said. 'They do what they are unable to do in America and Europe. We feel cheated. People are roaming the streets with no means of making a living.' "
"We will know that Patrick is serious about healthcare when he says Coke and Pepsi should be pulled out of every school system in the country and he uses his resume as President Clinton's top civil rights attorney to urge civil rights organizations to stop taking money from companies that could care less about whether we drink ourselves into diabetes and early graves. "But Patrick is not likely to bite the hand that paid him millions of dollars. His competitors likewise have their hands in the till of compromise and irony." This article incorrectly states that Campaign to Stop Killer Coke Director Ray Rogers is "planning to disrupt Deval Patrick campaign appearances this week..." Ray Rogers has no intention of disrupting Deval Patrick's campaign events. However, he hopes to reach out to the public with the truth about Deval Patrick. "Four Indian states have already banned the sale of Coke, Pepsi and other soft drinks at schools, colleges and government offices after a research group in New Delhi last week claimed they contained high levels of pesticide residue. But the state of Kerala was the first to impose a total ban on production and sales." "An extra can of soda a day can pile on 15 pounds in a single year, and the "weight of evidence" strongly suggests that this sort of increased consumption is a key reason that more people have gained weight, the researchers say." "Yesterday, Democratic gubernatorial hopeful Deval Patrick, who has been stressing his hardscrabble South Side Chicago roots and his campaign of inclusion, told the Globe that he resigned his membership in the all-male Harvard Fly Club in 1983 — five years after he graduated from Harvard College." "I'd never been sold on bottles, preferring the positive hype about our tap water. The gullibility is rooted in frugality: Why spend money for something I can get virtually free from my kitchen sink? Mostly though, while it's handy to carry water around, the inconvenient truth is, recycling notwithstanding, the bottles add millions of volume daily to our landfills. Bottling requires a wealth of energy resources to produce and ship. And bottled water, governed by the Food and Drug Administration, is not nearly so regulated as municipal water. "No one should assume that just because he or she purchases water in a bottle that it is necessarily any better regulated, purer or safer than most tap water," says the Natural Resources Defense Council's Web page on the subject. It stipulates that some marketing by water bottling companies is misleading. That's why Nestle's Poland Springs was taken to court in a class-action suit in 2003. The company settled." "[Julia Havey's attorney] Watkins said he also would drop the suit if one of Coca-Cola's directors let his child drink 151 soft drinks on television." "Liquid Candy: How Soft Drinks are Harming Americans' Health," By Michael F. Jacobson, Ph.D.
Read Interesting Analysis on this Subject: "MyCokeRewards Contest Impossible To Win Without Dying First"
"One of America's biggest diet vices are soft drinks. Now the Coca Cola Company is luring you to believe that you can win some spectacular prizes if you drink enough Coke There is one major problem with how they are hosting this contest: It is virtually impossible to win the top prizes if you follow the rules and guidelines. 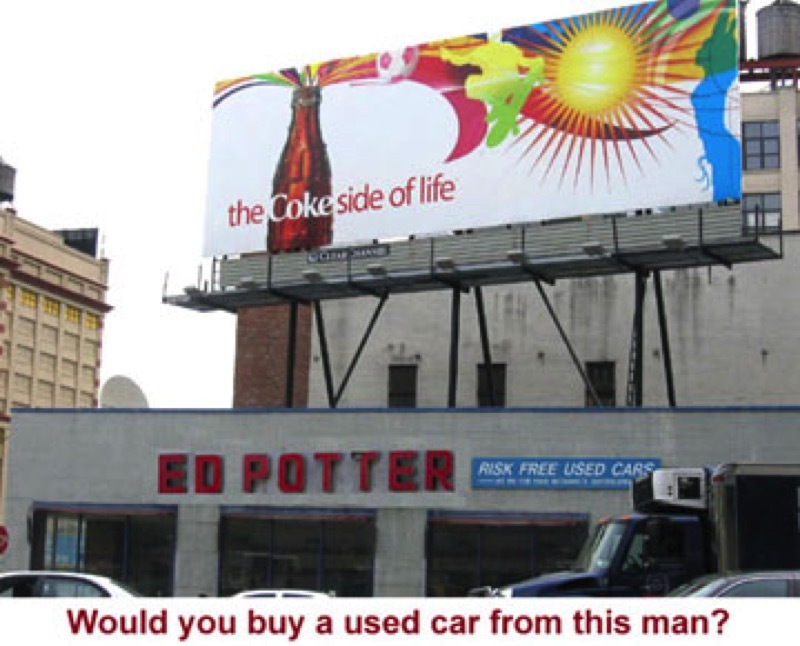 And if you did consume enough Coke to allow yourself a chance to win, you just might DIE! That's right, DIE!" "We�re gaining territory. 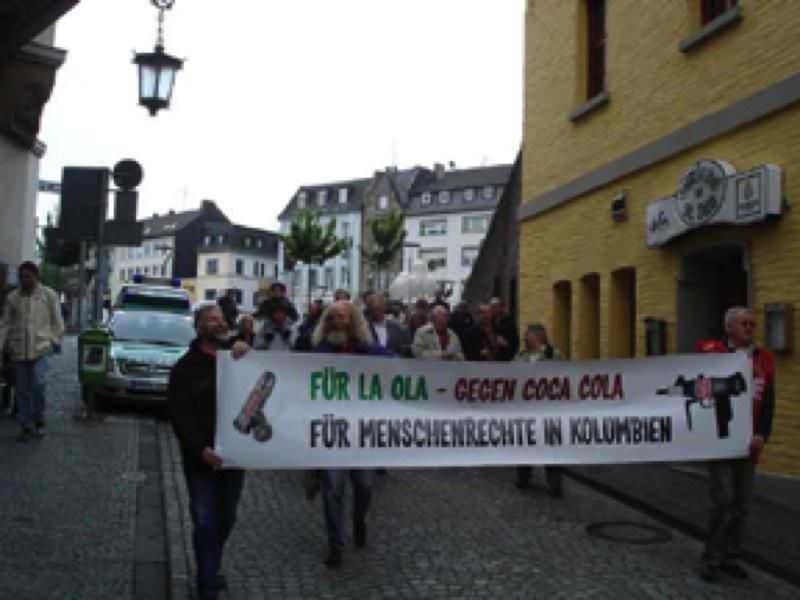 The Student-Parliament of the Cologne-University has decided a boycot on Coca-Cola Co. Products ." Photos from the 2 June 2006 event against Coca-Cola in Moenchengladbach, Germany during the Germany-Colombia football match some days before the World Cup began. "A group of students on the 7th June organised a football game in Bern, Switzerland. The match was between the union and Coca-Cola. The Coke managers had their hands covered in blood while the workers wore dirty and torn clothes." Photos sent by German activists demonstrating against Coke's sponsorship of the World Cup in Berlin, Germany. 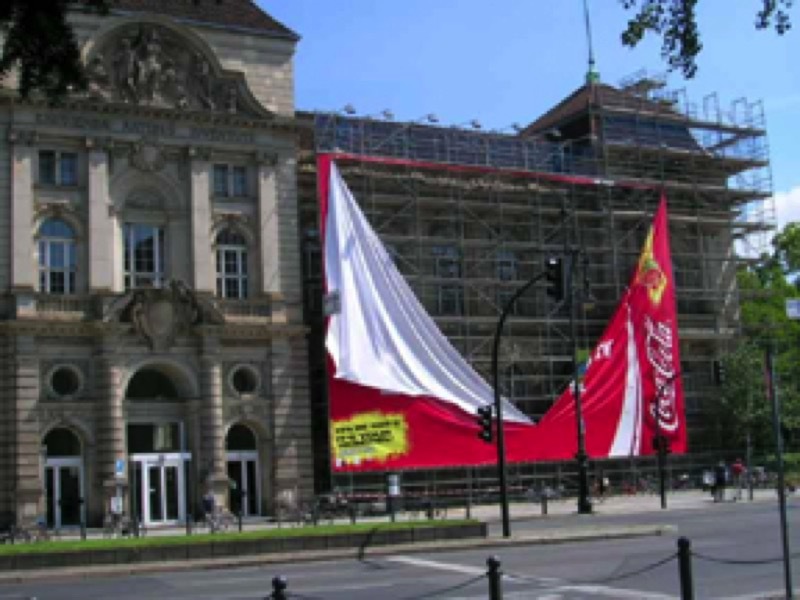 This photo of the damaged Cola-Cola banner was taken in front of the University of Art in Berlin (UDK). Coca-Cola sponsors the University. The students of the University of Art support our campaign. Unknown persons destroyed the Coca-Cola banner.
" 'When the controversial resolution addressing labor abuses in Colombia came up, Isdell ignored a sea of waving yellow cards - he only recognized individuals who were in some way funded by Coca-Cola, to offer testimonials about what a fine company Coke was,' Mr. Klinger continued. 'Instead of shareholders discussing one of the issues that most threatens the company's reputation, we witnessed a clamp-down on democratic discussion, undermining shareholders ability to hold the corporation accountable.' "
"On Friday, June 2, 2006, the ILRF and USW filed a new Alien Tort Claims Act case against the Coca-Cola Company and its Latin American Bottler, Coca-Cola FEMSA. 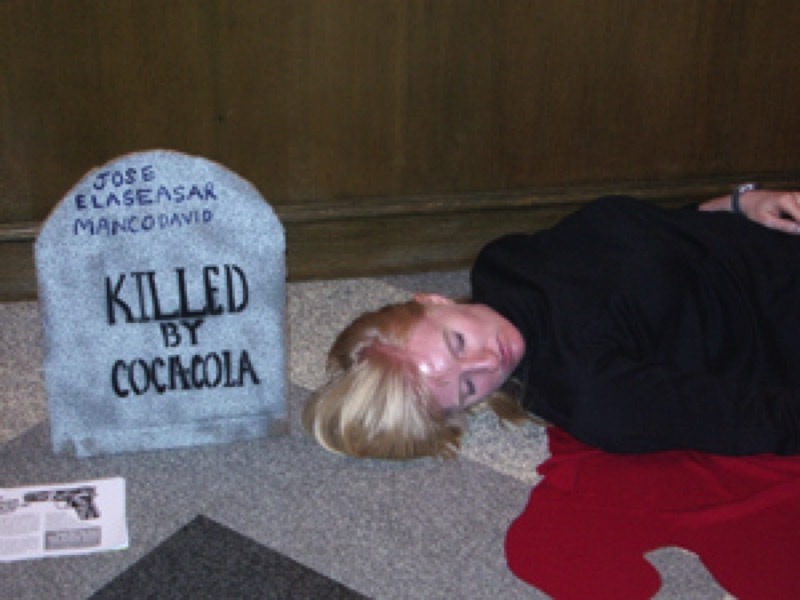 This new Complaint charges that managers at the Coke bottling plant in Barranquilla, Colombia conspired with both the Colombian Administrative Department of Security ("DAS") and the AUC paramilitaries to intimidate, threaten and ultimately kill SINALTRAINAL trade union leader Adolfo de Jesus Munera on August 31, 2002. The Complaint further allege that, despite a number of warnings to Coca-Cola management in Atlanta that the management at the Barranquilla bottler has continued to meet with and provide plant access to paramilitaries, the paramilitary infiltration of this bottling plant continues unabated to this day. Meanwhile, these same paramilitaries have continued to threaten SINALTRAINAL members and leaders with death and even kidnapped the child of one SINALTRAINAL leader to pressure him into refraining from his union activities." "Michele Simon was angry. She was angry when she heard that the American Heart Association (AHA) had joined with the Clinton Foundation and the beverage industry last month to cut a deal that would limit high caloric beverages in schools - with loopholes. Under the Clinton deal - sports drinks and diet sodas are allowed and marketing is allowed in high schools - and there is no legal enforcement mechanism. Simon heads the Center for Informed Food Choices in Oakland, California." "Coca-Cola has been banned or is in the process of being banned from twenty campuses in the United Kingdom and the United States; and 130 other campuses across the globe are gearing up to follow suit. 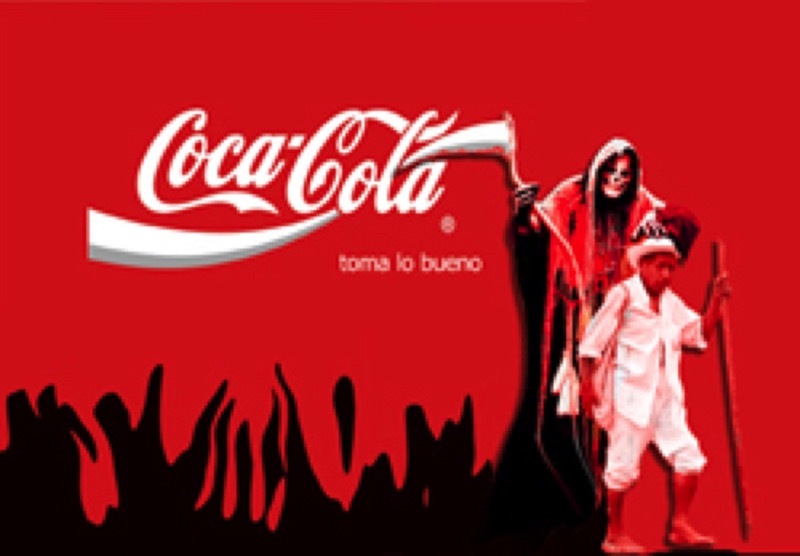 This follows an international campaign launched by the Colombian National Union of Food Industry Workers (SINALTRAINAL, its Spanish acronym), which claims Coca-Cola is complicit in the killing of union executives in Colombia. Coca-Cola dismisses the charge arguing that official investigations have not indicted anyone remotely connected with the company." "Anthropologists have created a scholarly record of the operations and impact of the Coca Cola Company through interviews with eyewitnesses; union organizers and other stakeholders; field observations; and archival research. Their findings indicate that the Coca Cola Company has not been sufficiently proactive in protecting workers and their families from intimidation and violence, that internationally recognized rights to organize unions have not been respected, and that information disclosure has been inadequate and insufficiently verified by independent sources." " 'Students are telling us they do not like contracts that make it so that the only beverage they have on campus is Coca-Cola,' said a student organizer from Carleton. 'Let me tell you, instead of breeding a future generation wanting to drink Coca-Cola, what you are doing is forcing students to move away from Coke'." This is from the campaign at the Claremont Colleges in California. We participated in the 5th Annual Scripps College Wearable Art Show on April 30, 2006. The announcer read out a statement about Coca Cola's laborabuses as our model walked down the runway. No Coca Cola refreshments were served. "MUMBAI: MNC soft drinks maker Coca-Cola regularly pays off its vendors to keep quiet when substances such as tobacco pouches, dirt and fungus show up in its beverages, classified documents of the company's marketing arm reveal." See the link to The Responsible Shopper below. Here's the link to the analysis of Coke.
" 'If Coca-Cola does not deliver something that union members, students and customers will accept, then those who have claimed that the only thing the Company understands is the damage to market and reputation that a successful boycott might bring will be proved right,' commented [Ron] Oswald. 'Coca-Cola will then face a much bigger problem as support for direct action will grow and will be joined by the majority who to date have argued for maintaining ongoing engagement with the company to achieve our common objective — a fair and credible mechanism to guarantee rights throughout the Coca-Cola system'." "Over the last year, the Claremont Colleges chapter of Amnesty International, an organization devoted to the protection of human rights, has campaigned to remove Coca-Cola products from all five campuses. Recently, the student group has focused their efforts on Scripps College. They are now asking students to join them in a boycott of Coke products at the Scripps dining hall. 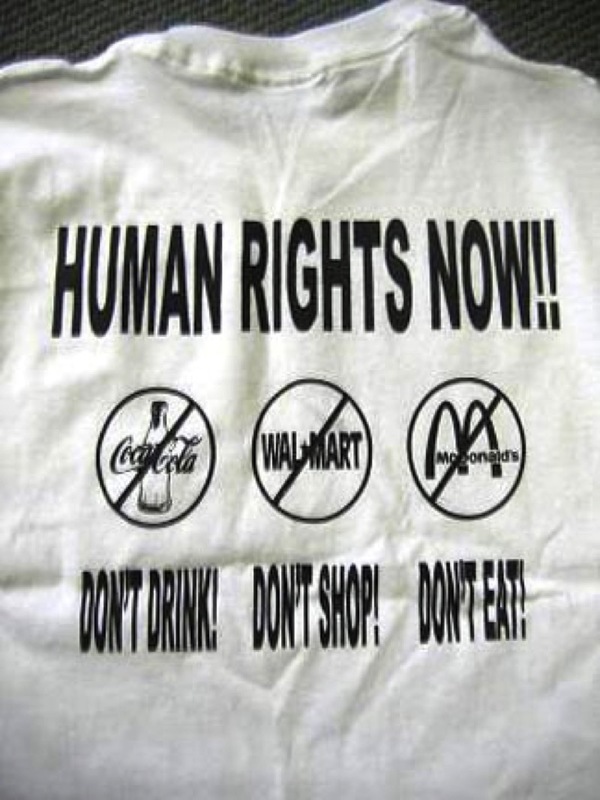 "Amnesty members began the boycott in response to increasing evidence that the Coca-Cola Company has committed several human rights and environmental violations around the globe. Coca-Cola has been accused of exploiting workers in Colombia, Turkey, Indonesia, and El Salvador and of wreaking environmental havoc in India." "Teamster member Peter Rovetto, 52, of Jonas, Pa., who says he worked as a merchandiser for Coke in New Jersey, said the company needs to treat its employees better. 'Workers are underpaid and overworked and often pressured into working overtime,' he said." which Rogers raised at the shareholders meeting. protest outide Coca Cola Co.'s annual shareholders meeting. "John Moore, 69, who said he owns about 70,000 shares [of SunTrust, the "Bank of Killer Coke"], also urged the company to divest its nearly $2 billion worth of Coca-Cola Co. stock. 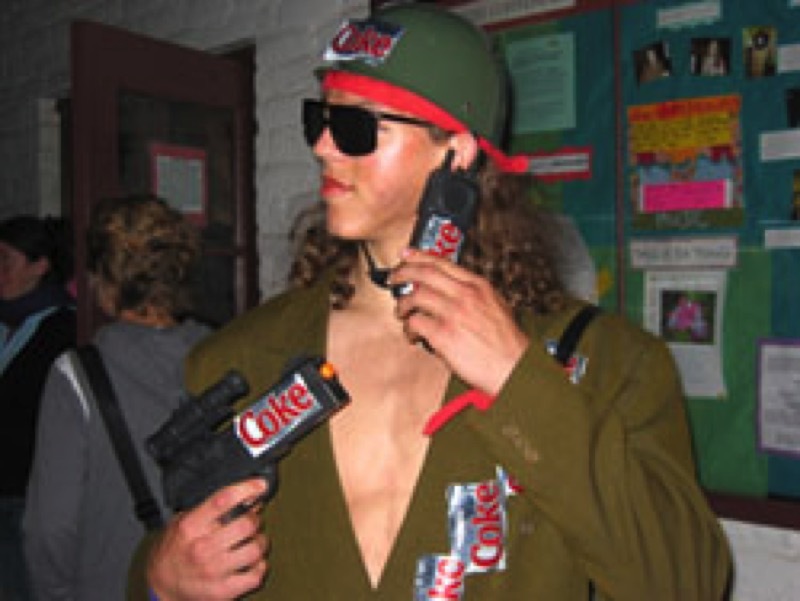 Coke's lackluster performance of the last few years hasn't warranted holding onto them, he said. Plus, the company has been on the hot seat in recent years as consumers have focused attention on the nutritional values of sugared snacks, Coke's impact on the environment and its high-profile racial discrimination lawsuit, he said. 'Is this the kind of company you want to be associated with?' said Moore, whose SunTrust shares were worth close to $5.3 million as of Tuesday's closing price of $75.63." 'By allowing Coca-Cola to choose its investigator, the University of Michigan is conceding that Coca-Cola is not bound to abide by or come under the authorized structures of any country and are above national laws and authorities,' said C.R. Bijoy of the People's Union for Civil Liberties." "Ilan Brandvain, a student who has been active in the campaign against Coke at Michigan's Ann Arbor campus, criticized the decision. 'I think they did it without consulting the students. It was treated as a secret,' he said. 'The terms were set completely by Coke without university input.' He said an ILO investigation would not be independent because Ed Potter, Coke's director of global labor relations, serves as a business representative to the ILO." Read article by subscription in New York Times. we should ban sugary drinks from schools. As George Bray, an obesity expert at Louisiana State University, notes, 'Those "beverage contracts" that school districts have entered into to obtain money are equivalent to selling our children's health for school income.' "
"What's the bottom line on these drinks? An extra 100 calories a day, all things being equal, adds about five pounds a year to one's weight. For America as a whole, that amounts to an extra 750,000 tons of fat per year — so maybe it isn't the seas that are rising, but America that is sinking." "Many of DePaul's student groups are showing solidarity with ASU by refusing to serve coca-cola products at meetings, including the DePaul AIDS Project, the Student Government Association, the Environmental Concerns Organization, along with numerous others. ASU is encouraging DePaul to look into contracts with alternative drink companies, such as Blue Sky cola, Jones Cola or Hansen's." Students at the University of East Anglia (population: 14,000) in Norwich, England, voted in a campus-wide referendum on April 16th to kick Coke off their campus only one week after the National Union of Students (NUS) conference. This is a major blow to Coca-Cola and those leaders of the NUS who are making every effort to undermine such actions. We congratulate the student organizers who tirelessly did a great job distributing flyers and speaking to other students one-on-one about the issues. Eyewitness New: WFSB, "State Officials: Shame on Coke! "A Government Accountability Office study last year found that 99 percent of high schools, 97 percent of middle schools and 83 percent of elementary schools have vending machines, school stores or snack bars that sell mostly unhealthy snacks and drinks. 'What this does is it undercuts almost $10 billion in annual taxpayer investments in nutrition and sound school meals,' Harkin said, referring to federal spending on free and reduced-price meals in public schools." ""When parents send their kids to school with lunch money, they shouldn't have to worry that the money will be spent on Flaming Cheetos and a Coke instead of on a balanced meal." "A good deal of media coverage has emerged from the recommendation by Macalester's Social Responsibility Committee to ban Coca-Cola from campus, though it seems to have obscured one simple fact: the President has yet to sign an actual ban." 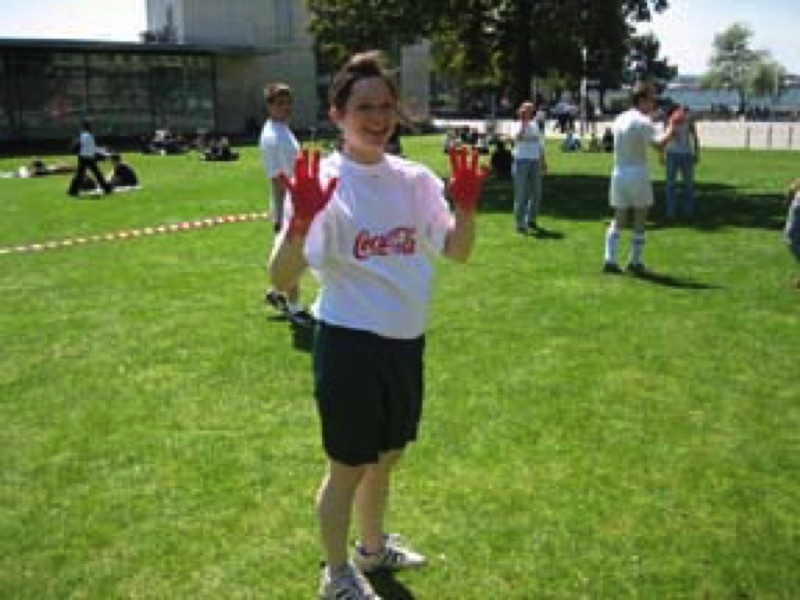 "As part of Kick Coke, I am disappointed but not disheartened," Ruth Schultz '09 said. "[The motion] was a potential step forward in the campaign to cut contracts with Coke, and though the NUS did not take that step, student groups all over the UK are still working to put pressure on Coca-Cola to be held accountable for its environmental and labor rights abuses all over the world. I don't see it as a setback, just a missed opportunity." "I know many of the activist students at Macalester. When they're not lobbying for particular causes they are participating in hurricane relief trips to the Gulf Coast, doing volunteer work with local community organizations, studying history, philosophy and political science, and otherwise taking seriously Macalester's stated belief in the importance of service and in education as enhancing the public good. I'd rather have students who care about citizenship, even ones with whom I sometimes disagree, than students more indifferent or narrowly self-interested." Ultimately these deals threaten the one thing that really made these companies special — that consumers believed in their values." The Noel Browne Branch of Labour Youth in conjunction with Labour Councilor Billy Cameron submitted a motion to Galway City Council calling for solidarity with Coca-Cola workers in Colombia. On Monday April 3rd, the motion was passed unanimously. This is another significant step forward for the Boycott Coke Campaign in Ireland. Galway City Council notes the campaign initiated by the SINALTRAINAL trade union concerning workers rights and issues in the Coca-Cola bottling plants in Colombia. Galway City Council expresses solidarity with the workers in this country and supports the international campaign launched by SINALTRAINAL in July 2003 in the sense of the right to join a union.
" 'Their performance is by and large pathetic," said Tim Lang, one of the authors of the report, The Food Industry: Diet, Physical Activity and Health. 'The companies that appear to be doing the most are the ones under intense pressure because their product ranges are the unhealthiest, but there is a whiff of desperation about what they are doing rather than long-term commitment to better food.' "
"The report said the firms doing the most to improve health standards were those, such as McDonalds, who had been criticized for selling fatty and salty foods. 'This suggests that the best way to get companies to take health seriously is to have critics outside giving them a hard time,' Lang said." "Critics say companies have little incentive to obey the codes. Manufacturers, for instance, didn't lessen pollution until they faced stiffer environmental laws and criminal prosecution. 'Most companies are getting a free pass with these codes of conduct,' says Terry Collingsworth, an attorney at the International Labor Rights Fund." "In request to file NIS 200 million class action suit plaintiff claims Fanta brand soft drinks contain ingredient that may cause cancer and are not suitable for drinking. Coca Cola: Our products undergo strict quality assurance process." Blog at Loyola Academy, Wilmette, Illinois, "Remove Coca Cola Products from Loyola Academy"
PrimeZone Media Network, "Scott+Scott, LLC Files Complaint Against Coca-Cola Enterprises and Company Insiders Who Dumped $96.7 Million Of Company Securities — CCE"
"During the Class Period, the complaint alleges, defendants issued numerous false and misleading public statements regarding the basis for the Company's historic financial progress, enabling Company insiders to dump their Company securities at artificially inflated prices. Moreover, as alleged, CCE shareholders were duped into purchasing CCE shares at these artificially inflated prices." kanalB, "Video: The 'Permanent Tribunal of the People' and other video clips on Colombia"
"The 'Permanent Tribunal of the People' is inspired by the Russel-Tribunal. It appears when the state is incapable to punish violations of human rights, as it happens right now in Colombia. 97% of all violations on human rights are not being punished. On April 1. and 2. 2006 the colombian section of the Tribunal will take place in Bogota. The Topics of this tribunal will be the crimes of transnational corporations concerning their involvement with the paramilitary forces and state terrorism in Colombia. The corporations Coca-Cola, Nestle and Chiquita Brands are in the dock. Other topics will be gold, oil, coal, biodiversity and public services. 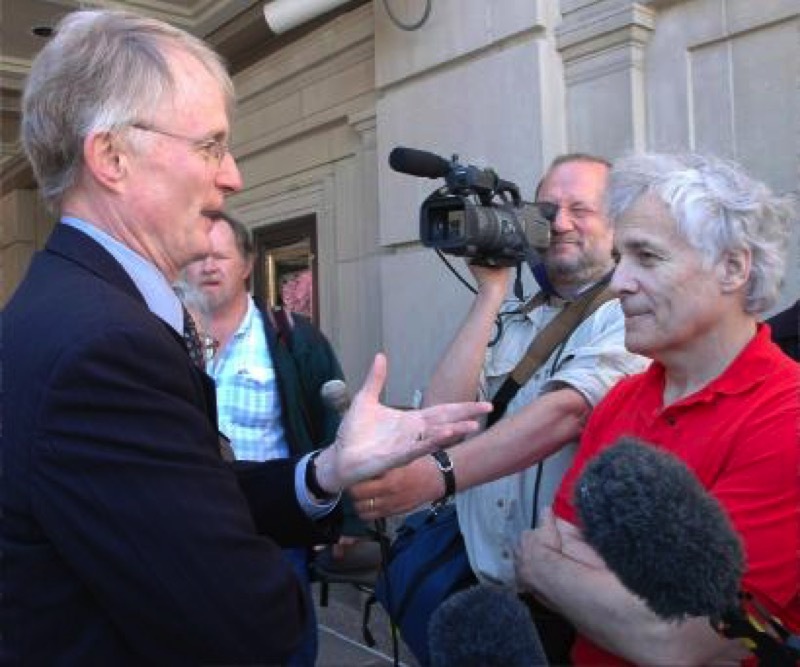 The tribunal, casted with renowned lawyers, will come to a judgment in july 2008." "In Guilderland, the district removed Coca-Cola products from a school at the behest of the Guilderland Teachers Association, the result of a NYSUT Representative Assembly resolution." Read an Excerpt of the Paper about Coke in Guatemala. This paper, written by a Harvard Law student in 2001, covers the more than a century of Coke's history. We found this paper informative, especially the descriptions of Coca-Cola's treatment of workers in Guatemala, which we have excerpted, and the collaboration of the German bottlers with the Nazis during World War II. "Coca-Cola has often hidden behind its franchise system, claiming that the parent Company cannot monitor what its franchisees do on a daily basis around the globe. Yet as one author pointed out: 'Their detachment from a bottler's activities, even if laws or human rights have been violated, is conspicuously inconsistent with the company's obsession with overseeing local production and promotion.' 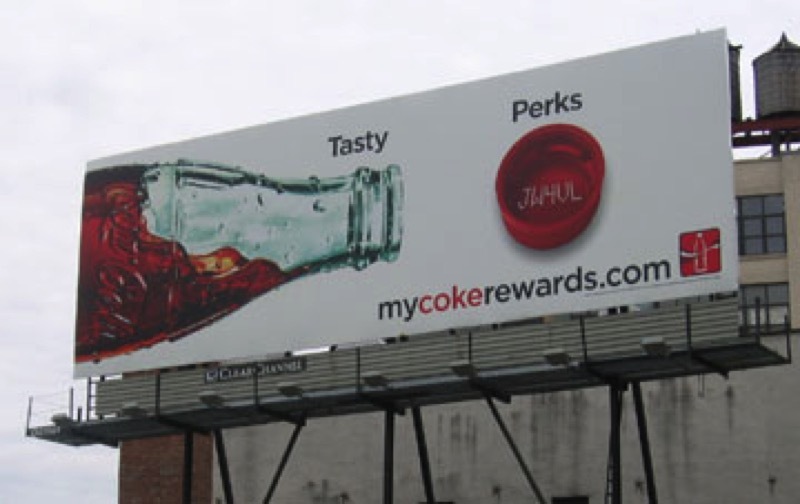 In other words, Coca-Cola picks and chooses when to get involved and when not to get involved. The crisis in Guatemala that began in 1975 serves as an example of Coca-Cola's unwillingness to intervene to curb illegal and unethical franchise activity." 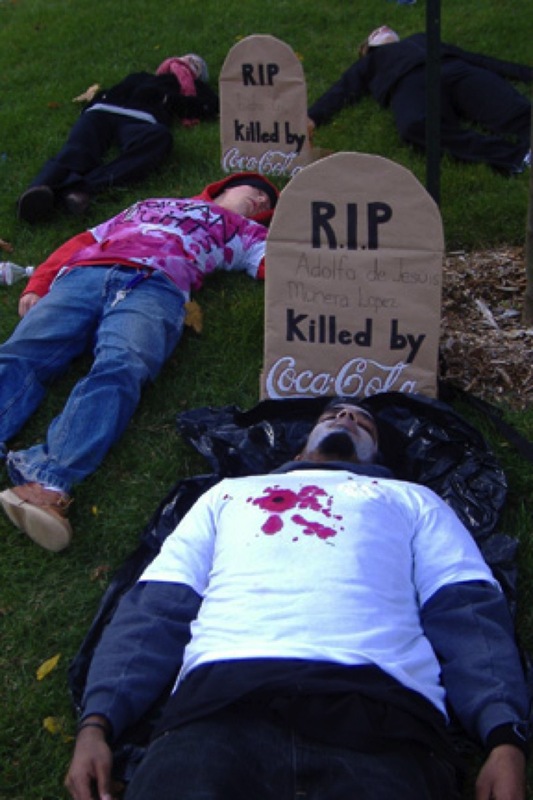 The Mac Weekly (Macalester College), "Editorial: Ban Coke, Hold corporations accountable." War on Want, "Lions give Coca-Cola the red card! : Campaigners dressed as lions gave Coca-cola the red card today in protest at the multinational's human rights violations, environmental damage and water exploitation across the world." Report on Rally at World Water Forum: "Our Rally Against Coca-Cola went down a storm- hundreds turned up and the response was amazing. I started off rally by giving everyone some background on the catalogue of abuses carried out by the company around the world and its attempts to cover these up with PR campaigns." Water fountains at UBC were covered in plastic at about the same time Coke vending machines appeared on campus. Why? UBC Grad student Sean Cook investigates. "However, no anti-Coke campaign has ever achieved what UVM activists have proposed — terminating Coke's contract before it expires. 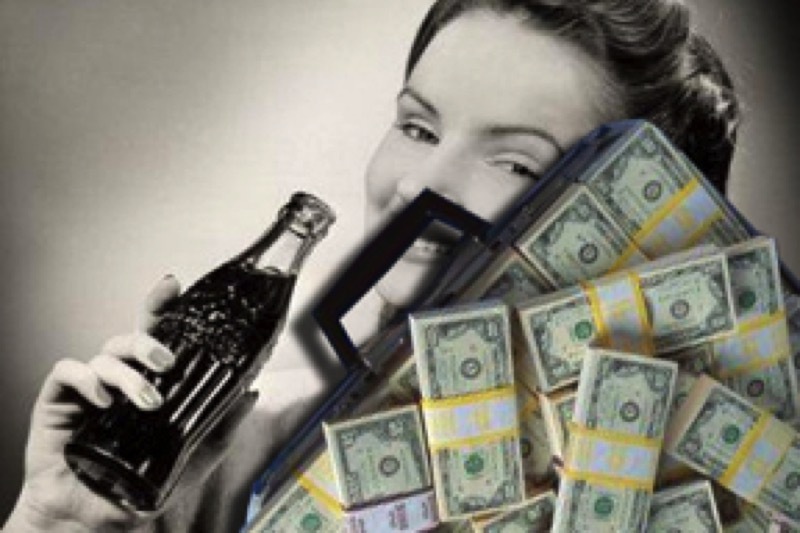 Coca-Cola's 10-year, $4.3 million deal with the university runs through June 30, 2012." Read Report, "Coca-Cola: The Alternative Report"
Our message to President Dynes was clear: this was a preview of greater events to come if the DSP is not adopted soon. Columnist Andrew Stefan contacted us to let us know that the date in the first sentence of his column was incorrect. He has sent in the correction which should be made soon. "Caffeine, of course, is key. It is our favorite drug, meth for the masses. 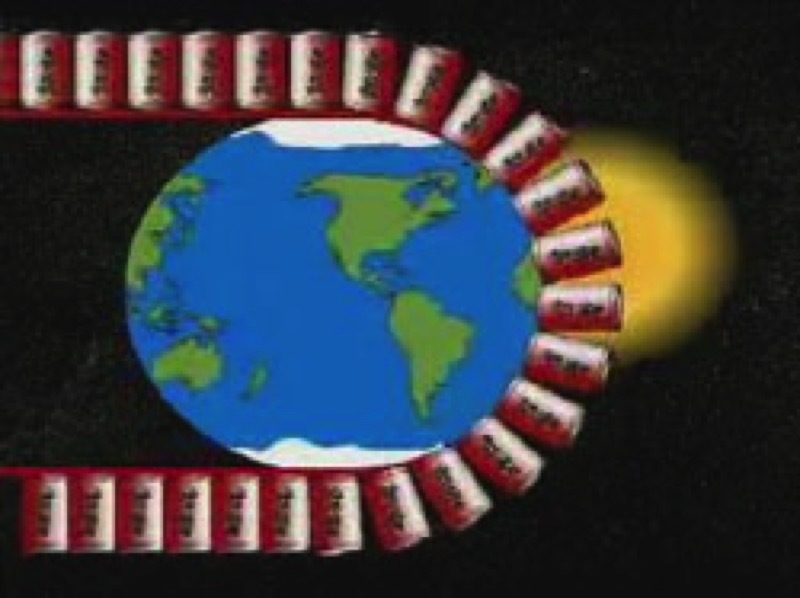 A basic can of Coke has about 45 mg of the world's most beloved drug. A good cup of strong coffee has about 80 milligrams. The average sickly sweet, fizzy energy drink, from Tab Energy to Monster to Liquid Ice to Rockstar, has anywhere from 100 to 200. And they all taste like some nasty Frankenstein inbreed of liquefied Skittles, road chalk and the blood of dead moths." "What then, we ask, is the Coca-Cola company doing as one of the leading sponsors of the World Water Forum? As a champion of unsustainable use of water globally, Coca-Cola's sponsorship of the forum puts the very credibility of the World Water Forum at stake." "Nos preguntamos entonces, �que pretende la compania Coca-Cola actuando como uno de los principales patrocinadores del Foro Mundial del Agua? Como parte de los principales preconizadores globales de la no sostenibilidad del uso del agua, el patrocino de Coca-Cola pone en entredicho la misma credibilidad del Foro Mundial del Agua." "Erosion is a problem that I am seeing more often in my practice. Even though diet soda contains artificial sugars that are not broken down by bacteria (unlike refined sugars), I still see erosive lesions on the teeth of diet soda drinkers. The acidity of soda is so strong that it actually breaks down teeth, almost like rust removers taking rust off a piece of metal. In fact, the type of acid found in most soda, phosphoric acid, can be used as a rust remover. This erosion process removes the calcium from the teeth, which results in a softened tooth that is weak. 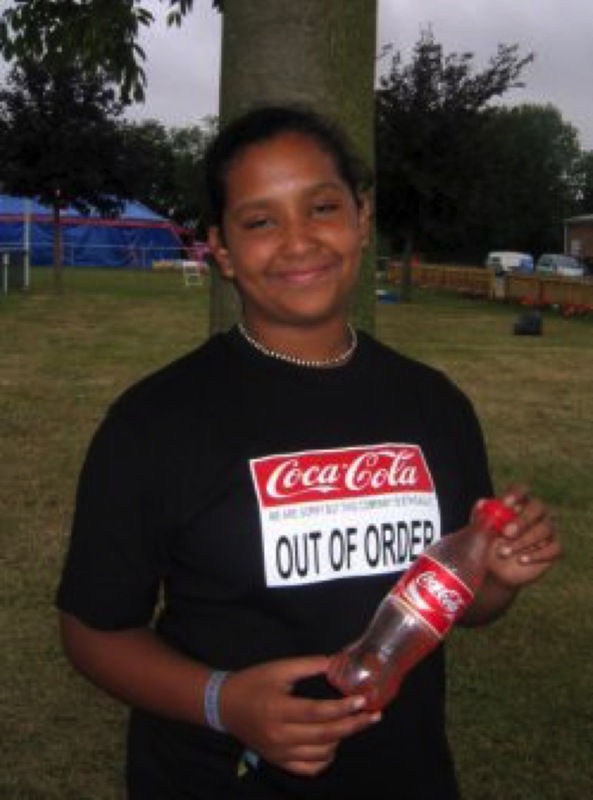 "In addition to tooth erosion, recent studies looking at effects of soda consumption in young female athletes show the potential for increased broken bones in girls who drink soda on a daily basis." "Benzene is listed as a cancer-causing chemical by health authorities, though the industry has said it is a question of quality, not health, in drinks. Laming said the possibility for ascorbic acid and sodium benzoate to form benzene was 'not a surprise in the soft drinks industry'." Aspertame, found in diet sodas, is also considered a cancer-causing chemical. "America's soft drinks association said it would have to look again at benzene in drinks, after new tests revealed to BeverageDaily.com suggest it and food safety authorities failed to stamp out a problem." 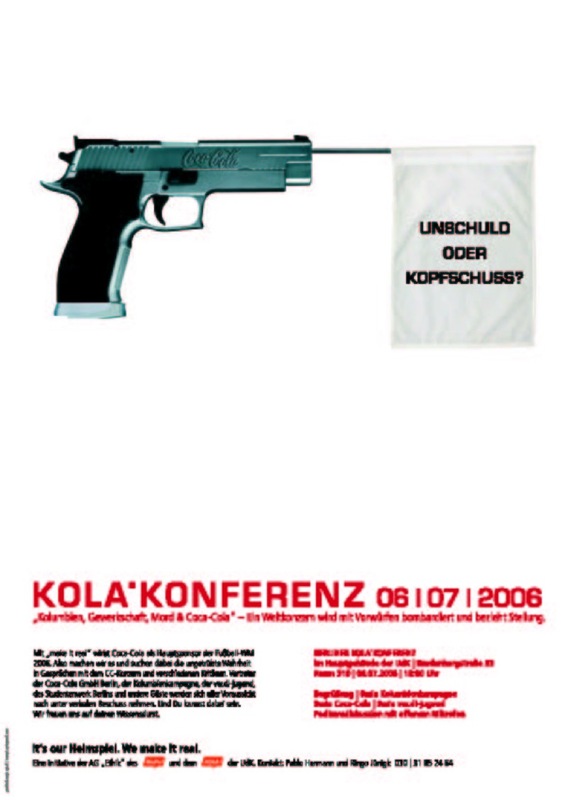 "Under www.dradio.de/dlf/sendungen/campus/463914/ you found the written text of a radio report of Deutschlandradio (a national wide german public radio station) about your campaign to boycott coca cola." This editorial mentions one of our allied organizations, the Campaign for a Commercial-Free Childhood. Colombian Sinaltrainal Union worker Luis Cardona joins Students for Economic Justice and Michigan State University students at the Administration Building on Tuesday afternoon for a rally supporting the ban of Coca-Cola on campus. Cardona also spoke to the protesters on the building's steps about his experiences with the Coca-Cola Co.
"If KSU happened to have had a contract with Coca-Cola, would the university have reconsidered their deal in light of these allegations? Yes, but only if student groups like SEA pushed a successful campaign," said Becky Clark, senior in biology and vice president of Students for Environmental Action. "You could say I feel better that we have a contract with Pepsi rather than Coca-Cola, that is, until a Pepsi scandal occurs." "...Coca-Cola products will be replaced with Pepsi drinks at Essie Mae's Snack Bar and the Science Center and Kohlberg coffee bars over spring break as the first step in eliminating Coke from Swarthmore's campus." Former Coke CEO DOuglas Daft joined the board of Wal-Mart after retiring from Coke and leaving the board of SunTrust Banks — "the Bank of Killer Coke." We reported in our newsletter of June 16, 2005 that "Daft joined the board of anti-union Wal-Mart in January of this year. SunTrust Banks has been opening up bank branches in Wal-Mart stores called 'Wal-Mart Money Center by SunTrust,' (beginning April 24, 2005) with plans to expand to about 100 of them by early 2006." Coincidence? "While the motion passed by 240 votes to 144, this was still insufficient to form the vote quorum. Despite these difficulties, motion proposer Oliver Munion insisted that 200 students voted for the motion at the last two meetings signified that the majority of the university's students would favour a ban." 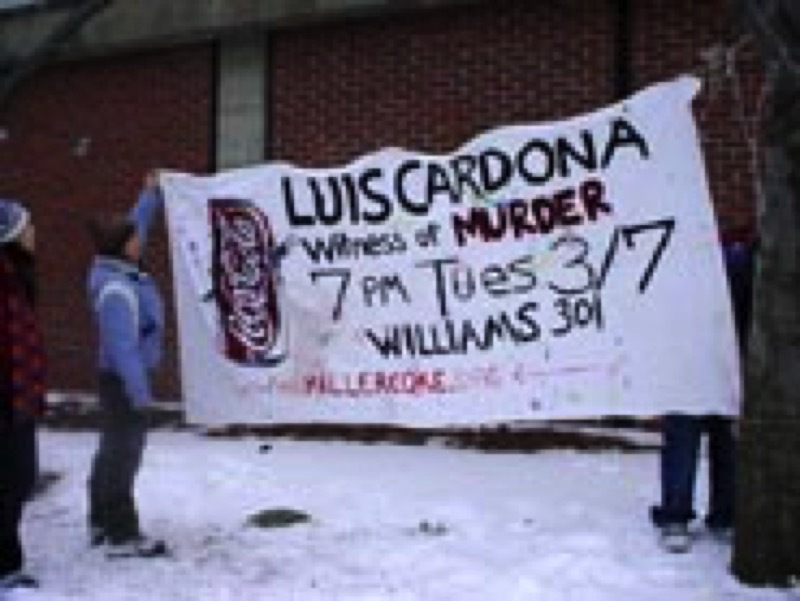 "Out of 307 St. John's students polled by The Torch, 66 percent believe that the University should cut ties with Coca-Cola if the South American murder allegations detailed in last week's story, "Chain Reaction," are true. St. John's needs to address this issue by dropping Coke, because in matters of life and death, there should be no middle ground." 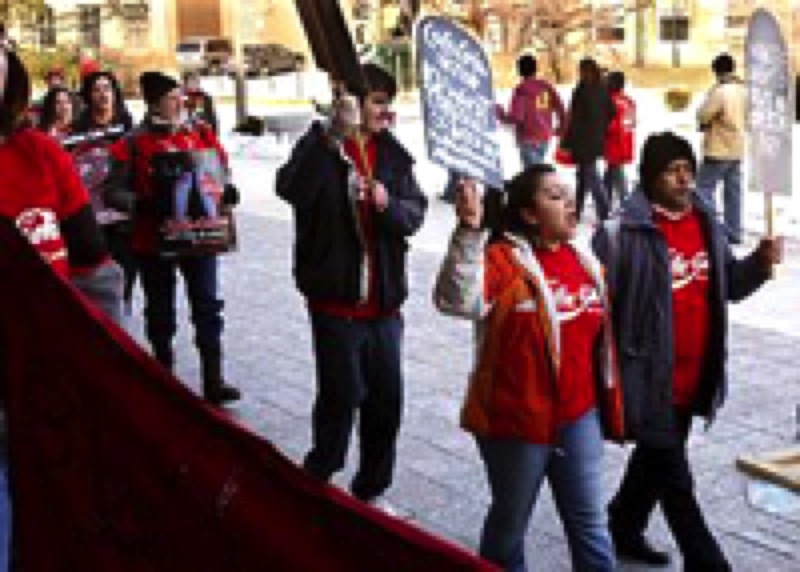 "Our union brothers and sisters at Coca-Cola bottling facilities in Colombia have been threatened, kidnapped, tortured and murdered," said Jim Hoffa, Teamsters General President. "It's long past time for Coca-Cola to negotiate a global human rights agreement that will protect the rights and safety of workers who produce, package and distribute Coca-Cola products." "The issues range from the everyday — internal reforms, additional shuttle services, longer hours at the DUC — to the ambitious: College freshman Luke Wetzel wants to investigate allegations of Coca-Cola's anti-union violence in Colombia." "While a number of different groups have taken to protesting, the most radical have been by those opposed to Coca Cola." "This is a picture that a student at Marquette University High School made for our campaign (The campaign at MUHS)." "Should the North Coast Co-op sell Coke products in our stores? 264 said no, 122 said yes." "Should the North Coast Co-op join the international Coke boycott? 253 said yes, 131 said no "
Despite the strong vote in favor of joining the campaign, the coop's board of directors chose to ignore the wishes of the membership. We hope that coop members will exert pressure on the board to convince them to change their minds. 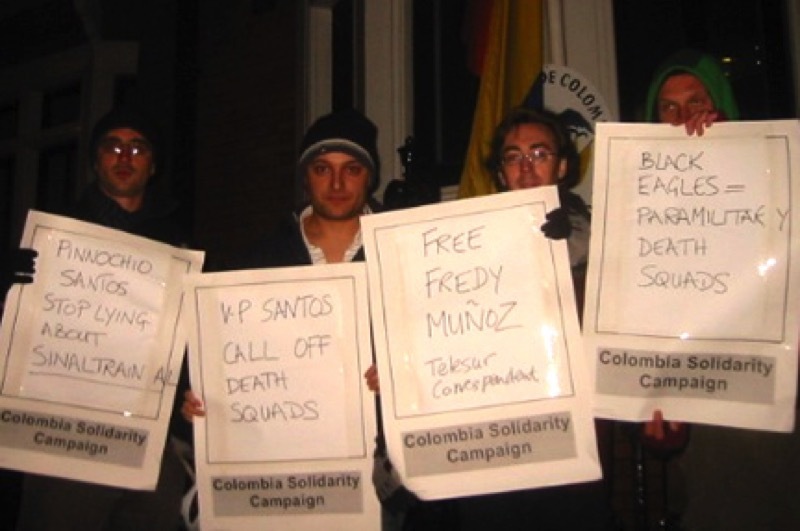 "A number of specific campaigns were proposed, including one in defence of free, public and secular education, to be organised around World Students Day, Nov. 17, and another suggested by U.S. activist Ariana Flores in opposition to "Killer Coke", in reference to the alleged complicity of the Coca-Cola corporation in the murders of eight trade unionists in Colombia." "The torch arrived an hour late after protests blocked its path. 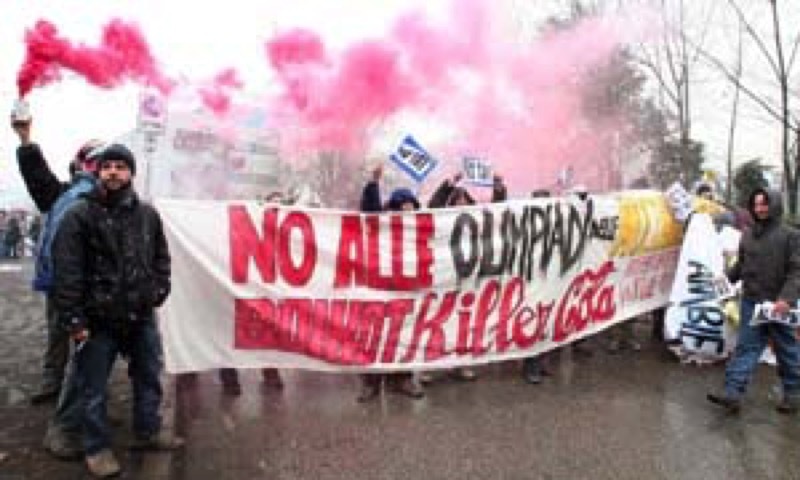 Demonstrators have repeatedly interrupted the flame's trip across Italy as part of a campaign against Coca-Cola, which they accuse of turning a blind eye to workers' rights violations at a bottling plant in Colombia. The company has denied the allegations." The two articles above are from The Emory Wheel, the newspaper of Emory University, also known as Coke University. "Soft-drink giant Coca-Cola is gearing up to defend itself against more claims by activists who charge the company with international labor and environmental abuses. 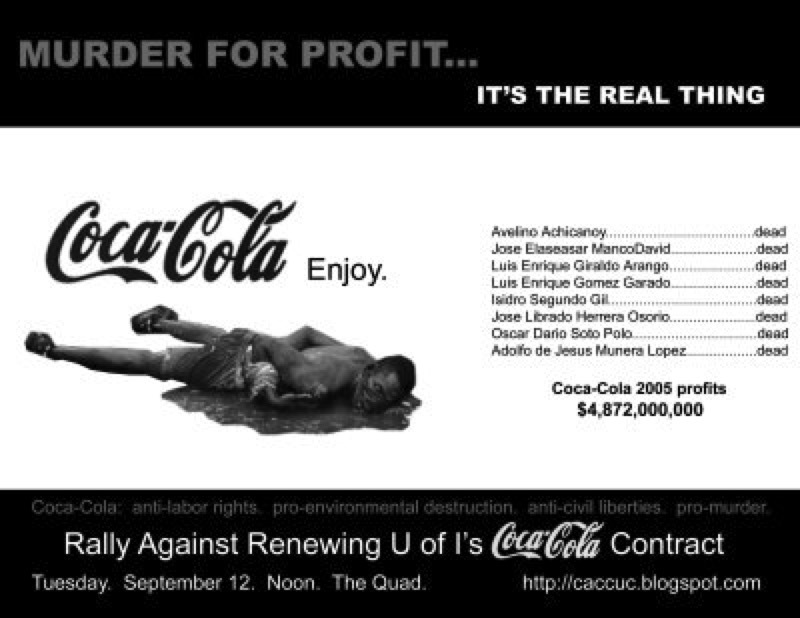 The activists see momentum following a recent decision by the University of Michigan to dump its Coke contract. Michigan Radio's Tracy Samilton reports." 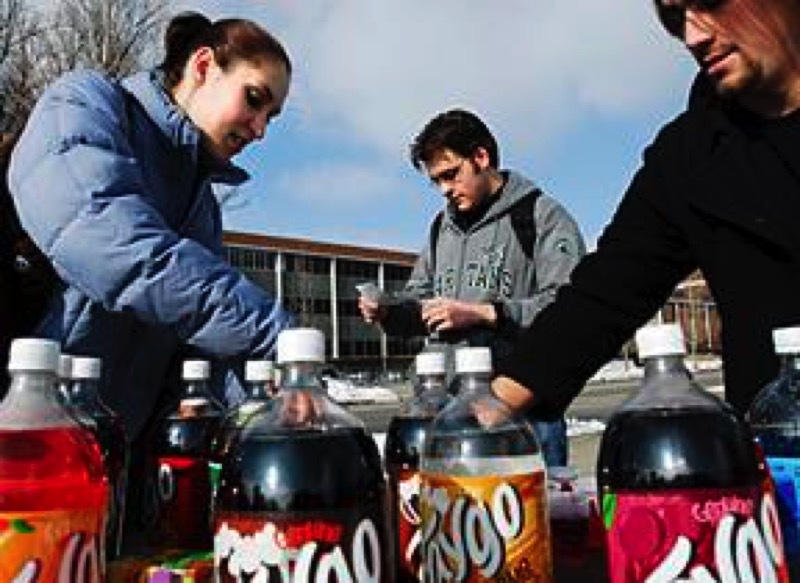 Students for Economic Justice members Laurel Koenig, left, and David Mitchell, right, offer Faygo soda to telecommunication, information studies and media sophomore Philip Moon as a locally produced alternative to Coca-Cola. SEJ members gathered at the rock on Farm Lane on Monday and called for Coca-Cola products to be pulled from campus dining halls and Sparty's locations, citing alleged environmental and human rights abuses by the company.
" 'Doing business with the university is not a right, it's a privilege,' said Deepti Reddy, a senior and coalition member at University of Michigan. 'To be able to earn a privilege, you need to be on your best behavior.' Keeping up with the action at NYU was a boost in morale for her peers in the coalition." Bologna boicotta Killer-Cola sponsor olimpico! Anche il movimento bolognese ha blocccato per piu di un'ora la kermesse della COCAOLIADE. Duecento persone hanno impedito il passaggio della fiaccola agli ultimi tre tedofori, tra cui Gianni Moranti, che se ne sono dovuti rimanere nei furgoni. "There are many local fights with international implications. Coca-Cola is still sold at the University despite increasing evidence of its moral corruption and continued exploitation of communities abroad." Read " 'Killer Coke' or Innocent Abroad? "Last Novemeber I had the pleasure of meeting some of you at the protest against the School of the Americas in Columbus, Georgia. Along with the SOA-Watch and Witness for Peace, I am organizing a labor delegation to Colombia next summer from July 7-17. We will be meeting with various Colombian workers, including those in the oil industry, with the Coca-Cola Company, and in the cut flower industry to hear about the ways that free market policies and political violence have eroded working conditions in Colombia. In addition, we'll also meet with human rights organizations, groups of people displaced by the violence, and journalists to learn more about life in contemporary Colombia. In the process, we hope to build close ties of solidarity between those of us in the United States and our Colombian brothers and sisters. "Spectators can be kicked out of a venue if they wave rival brands' flags or wear T-shirts with big logos. 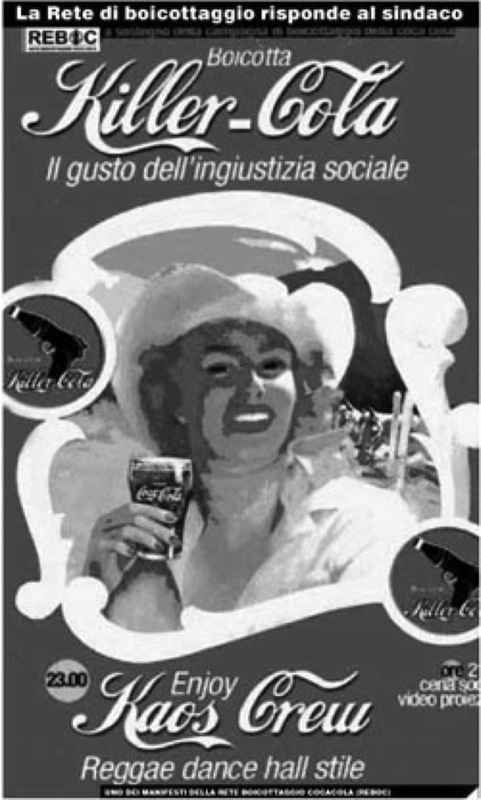 During the Sydney Olympics, stadium patrols confiscated Pepsi cans because Coca-Cola was the official sponsor...Using the publicity around the event (Olympics), Italian activists have campaigned for a Coke boycott because they say its bottling plant in Colombia hired right-wing death squads to intimidate trade unionists." 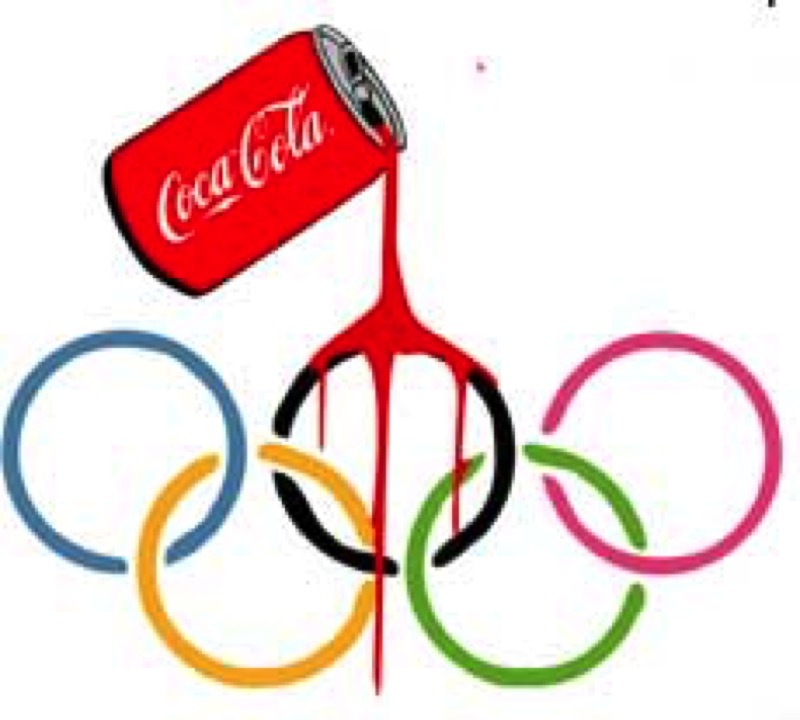 "Where pro-Olympic campaigns have failed to stir up strong emotions, critical protests have had more success. 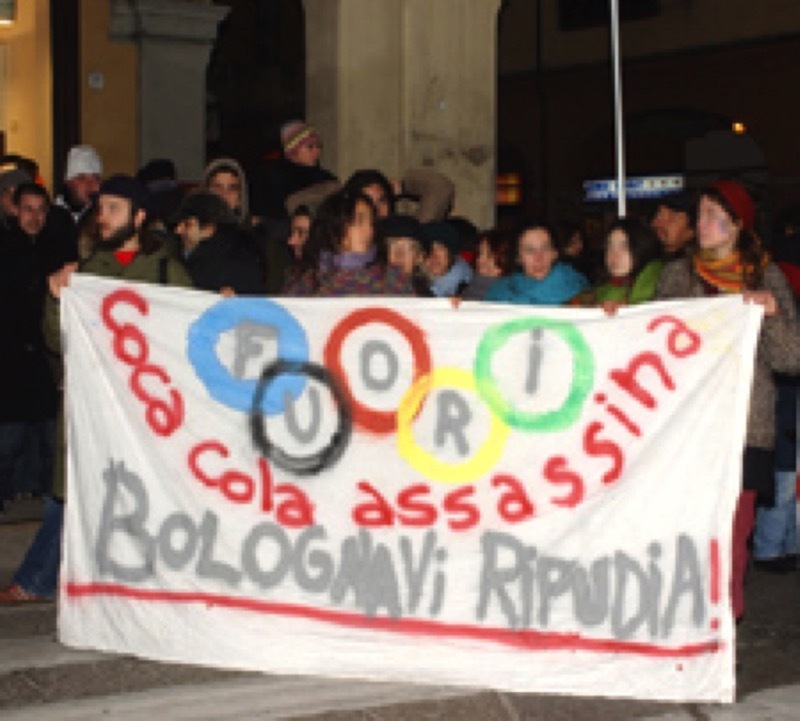 Activists campaigning for a boycott of Coca-Cola, official sponsor of the Olympics, have tried to block the Olympic torch in cities from northern Genoa to southern Potenza." "Farmers in rural India and students in American universities may have more in common than it would seem. While Cola companies have run into opposition in several states in India, student bodies in North America are pressuring universities to wind up contracts letting the firms exclusively sell water and soft drinks on campus. Sandeep Pandey connects the dots." "It's a consolation of our times that behind all the crudities, immorality and crookedness of political America, there is a decent soul that throbs for a decent world. The ethical position taken by these US universities (Michigan, NYU & Rutgers) should, actually, make us feel guilty about our own failure to act."